Colorado LE Only! If you are interested in attending and you’re from a Law Enforcement agency outside of Colorado, please call us first to see if it’s possible. 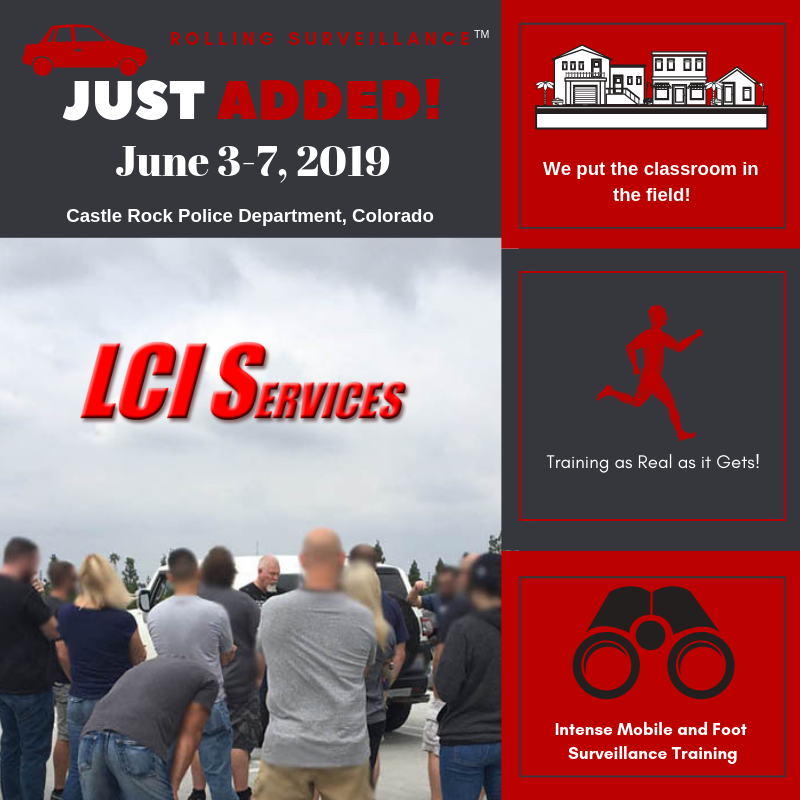 Register below for the May 28-31, 2019 Chop Shop Investigations and Criminal Sophistication – VIN Switching and ID – with Field Exercises training in Westminster, CO (Denver region). *Free to Colorado Law Enforcement Only via CATI Scholarship. Please choose that payment option below on the registration. Thank you. *Chop Shop course normally $555.00 per attendee. *Seminar Registration Form and Fee must be received in advance for proper planning. Please bring ID to be checked in at the door. No one other than approved attendees will be permitted inside training room. No photos or recording without prior approval by Tim Lewis of LCI Services. *In the event a cancellation is requested by attendee or agency up to three weeks prior to the event/class, the amount will be refunded, less a $150.00 service fee. No refunds thereafter. *Payment is due by check-in the first morning of the class. Late Payments not received within 30 days upon check-in of the class will accrue a 20% interest fee. *LCI Services thanks you for your cooperation in making our classes successful for you and us.